Yellow Jacket Stun Gun Case for iPhone 8: a durable weatherproof case with a stun gun and battery extender. It is tough enough to protect your phone against drops. 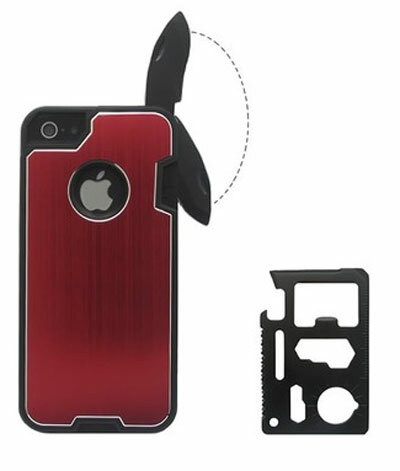 Mantis iPhone Knife Case: comes with a knife and bottle opener. 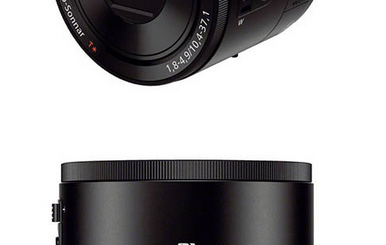 It has a 440c stainless steel blade. 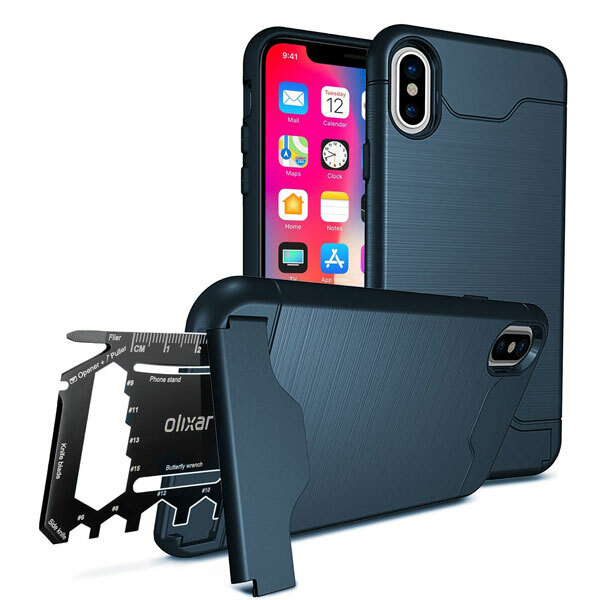 Olixar X-Ranger iPhone X Tough Case with Multitool: protects your phone but also has space for a 26-in-1 multitool. 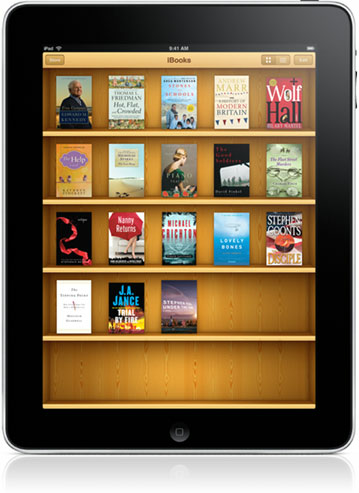 It also has a built-in kickstand. 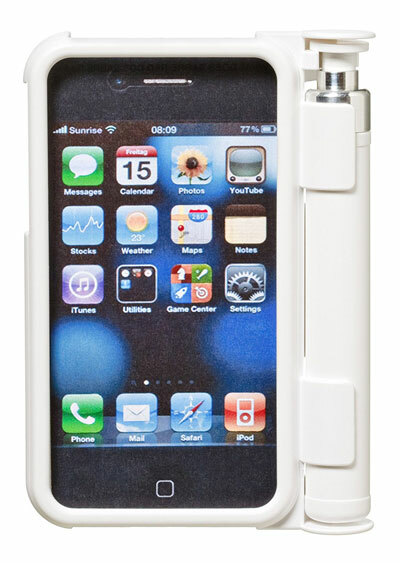 SABRE SmartGuard Pepper Spray Case: allows you to carry a Sabre Red pepper spray with your phone. It has a range of about 8 feet. 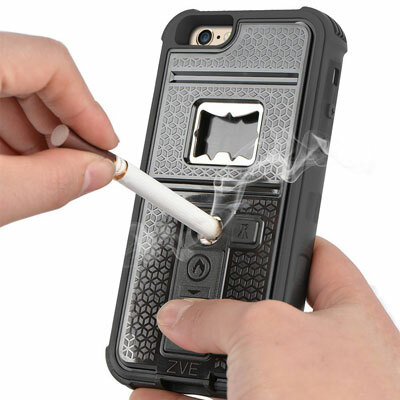 ZVE Cigarette Lighter Case: you can use this to open a bottle, start a fire, light a cigarette, and more. The lighter has a no-flame heating coil. 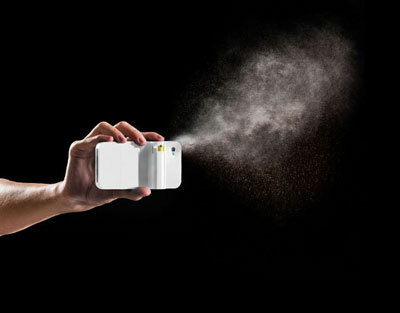 Spraytect Self-Defense iPhone Case: incorporates a detachable pepper spray cartridge that you can rely on to keep attackers away and buy yourself some time. Knucklecase: this aluminum case gives you a stronger grip on your phone. 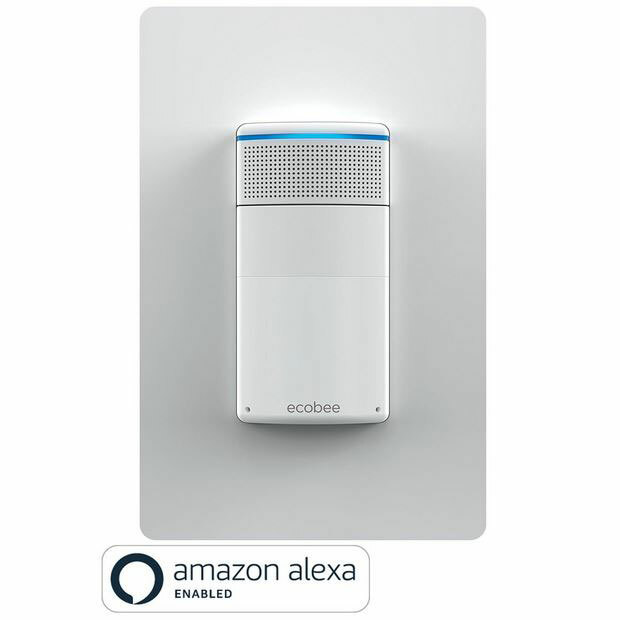 It is available in 3 colors. 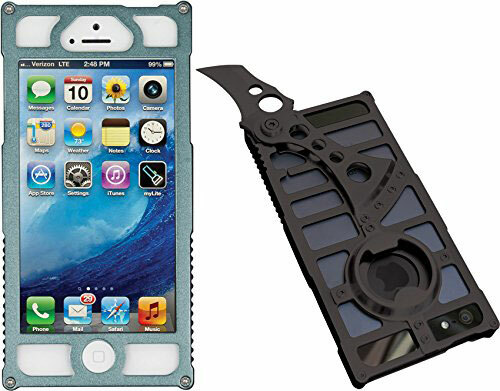 Multi Tool Knife Case: available for iPhone 5S, this case has a stainless steel knife. It doesn’t block access to any of your phone’s features. 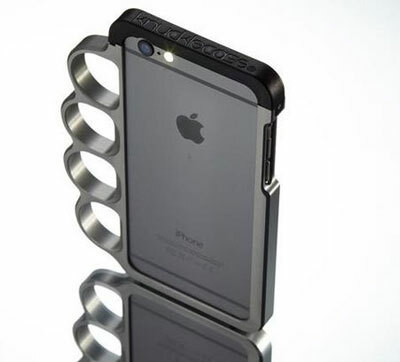 Have you found better self defense iPhone cases? Please share them here.